A job-ready workforce, lower cost of living, premier freight assets, growth potential and a lack of traffic congestion compared to other U.S. cities are among the top reasons given by several companies in the logistics industry as to why they have established businesses operations in the St. Louis, Missouri region. Representatives from Procter & Gamble, DNJ Intermodal Services, LLC, and Giltner St. Louis participated in a recent panel discussion hosted by the St. Louis Regional Freightway. 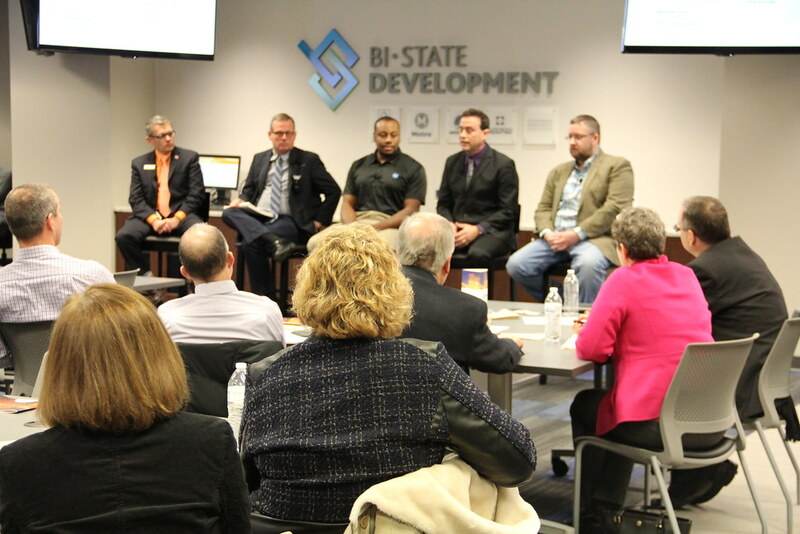 In addition to transportation, trucking and manufacturing sector participation, representatives from the Missouri Department of Transportation and the St. Louis Development Corporation took part in the panel discussion on January 17 in St. Louis. Procter & Gamble has operations in southwestern Illinois and eastern Missouri on both sides of the Mississippi River, with a manufacturing plant located in St. Louis, Missouri, and a distribution center in Edwardsville, Illinois. Cascade, Febreze, Swiffer household cleaning products and many other household items are manufactured at the St. Louis plant, and everything from Vicks VapoRub and Head & Shoulders shampoo to Metamucil are shipped out of the Edwardsville distribution center. Herbert Hall, Product Supply Warehouse Leader for Procter & Gamble’s operations in the St. Louis region, oversees three-million square feet of space and the movement of several hundred trucks a day. He indicated there is potential for even more growth. “We have purchased land next to our North St. Louis facility for expansion,” Hall said during the panel discussion. “The labor workforce, freight availability and the cost of living are good here, but seeing improvements to key road infrastructure will be a big win for us.” He explained that road improvements are necessary to address issues such as street flooding on Riverview Drive near Procter & Gamble’s manufacturing plant. 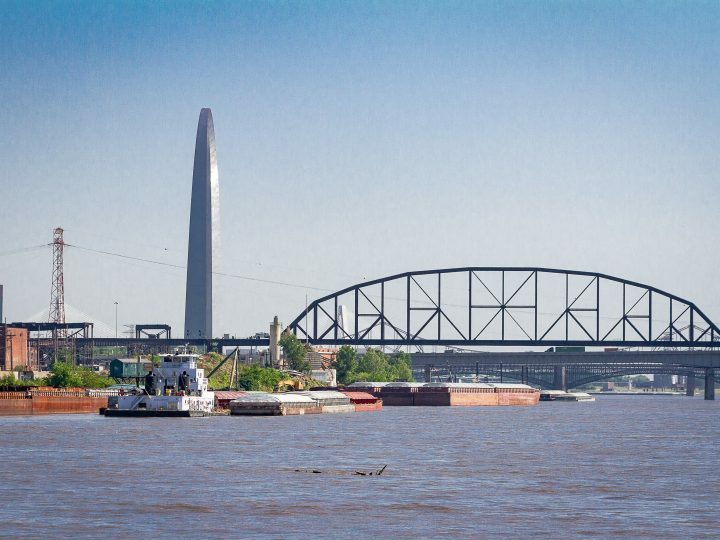 Lane or street closures force inbound and outbound truck drivers to have to find a different route to cross the Mississippi River, and those detours can cost time as well as more fuel. “The trucking industry really likes St. Louis,” said Brad Reinhardt, President of Giltner St. Louis. “There’s not a lot of congestion, and having no tolls is a huge advantage to the trucking industry.” Freight is readily available to be moved. He said trucks hauling freight into the region can easily pick up additional product for the outbound trips. Reinhardt said Giltner St. Louis is an asset-based logistics company, and the trucks he is moving in and out of the St. Louis area are among 400 trucks Giltner has on the move coast-to-coast. He said his business provides solutions to help customers from various industries transport their freight. Panelist Matthew Freix described DNJ Intermodal Services, LLC as a first-mile, final-mile containerized trucking firm. 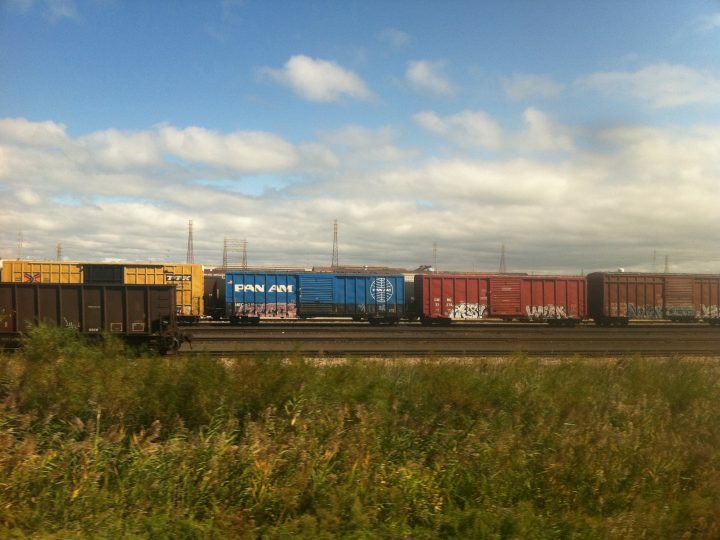 Freix, who is the Regional Vice President for DNJ Intermodal Services, has seen his company grow dramatically since entering the St. Louis market in 2011 with only two trucks. “We had eight trucks by 2013 and we’re now approaching 30; and we see a lot more growth on the horizon,” Freix said. “When we look at the St. Louis region and the infrastructure we have here, it’s vital to our operators. We’re excited about the growth in St. Louis and the investment being made in infrastructure,” Freix added. All three panelists agreed infrastructure improvements are critical to the continued success of their respective businesses, as well as to support the growing bi-state freight district, strategically located in the middle of the nation. 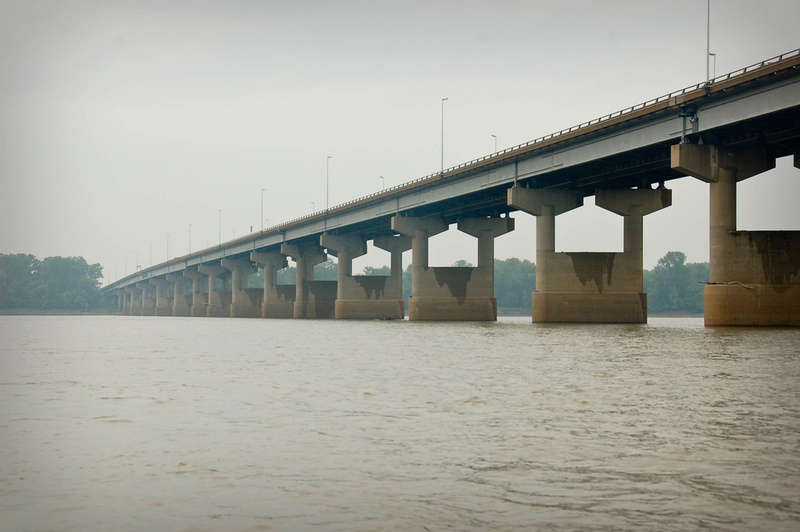 Major enhancements are being made to the Poplar Street Bridge over the Mississippi River between St. Louis, Missouri and East St. Louis, Illinois, as part of an ongoing project on which $80 million has been spent since 2014. Tom Blair, St. Louis District Engineer for the Missouri Department of Transportation (MoDOT), said the work to increase accessibility, make the curves more gradual and to add a fifth eastbound lane on the heavily traveled Poplar Street Bridge will go a long way toward removing it as a national freight bottleneck. 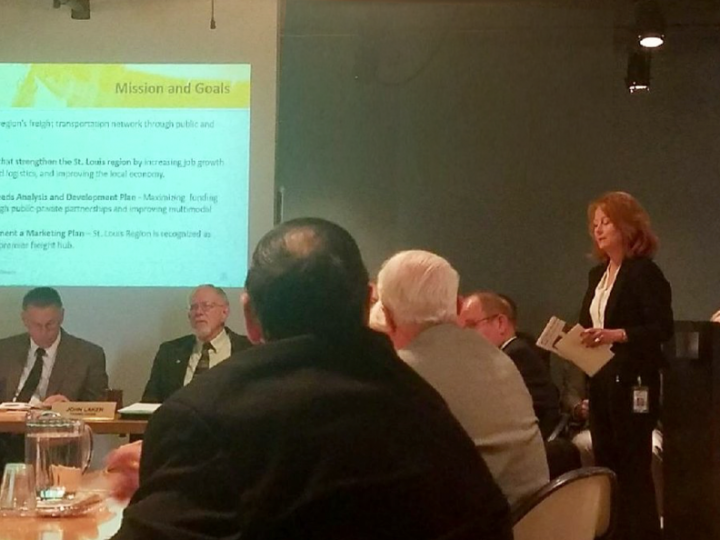 Blair also spoke about other projects with significant freight impact, including the Interstate 270 corridor in the northern part of St. Louis County and the Granite City area in western Illinois. “That corridor is vitally important to the freight network and is nationally significant,” Blair said. He detailed the work that needs to be done along several different stretches of Interstate 270 in the St. Louis region to address various deficiencies that make it a high crash zone that disrupts traffic, creating significant travel time delays that negatively impact the St. Louis region’s 14,000 manufacturing and logistics companies. Blair said the price tags for the individual improvements along the 16-mile segment of Interstate 270, from Lindbergh Boulevard to Illinois Route 111, all add up, and a total of $1.2 billion in funding is needed for the road improvements. With current funding levels, the road work would likely need to be done over a 17-year period and administered through nine or more individual construction contracts. Improvements to Riverview Drive, which were mentioned by Hall during the panel discussion, are part of a future phase of the North Riverfront Commerce Corridor (NRCC) project already underway. Rob Orr, Deputy Executive Director of the St. Louis Development Corporation, said the NRCC improvements are a prime example of collaboration contributing to the success of projects in the region that are vital to the freight network and are helping to improve freight velocities. 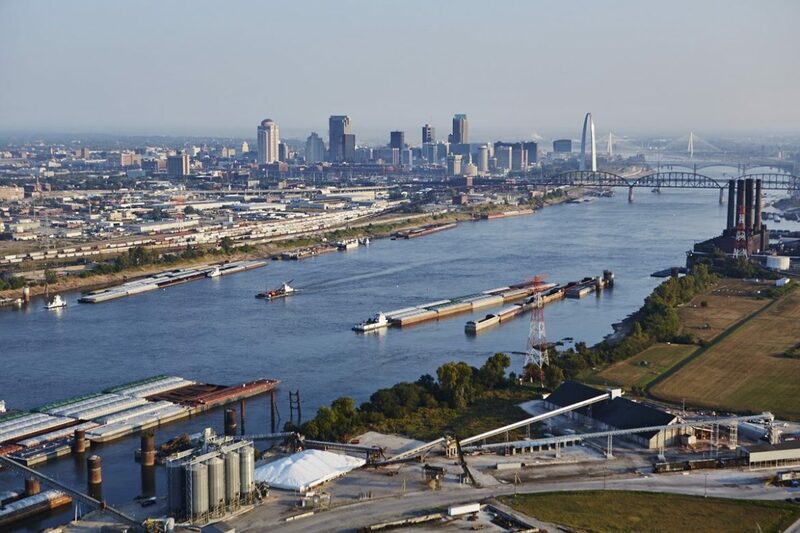 The NRCC project is a 3,000-acre multimodal logistics and business district located on the north end of downtown St. Louis that is one of the region’s primary manufacturing corridors. It is also an area recognized by the St. Louis Regional Freightway as one of the best locations in the City of St. Louis for industrial real estate growth. Through a partnership between the City of St. Louis, St. Louis Development Corporation, MoDOT and the Metropolitan St. Louis Sewer District, this corridor is undergoing a series of projects to improve storm water and pavement damage, and ensure efficient and safe movement of freight traffic. This same corridor is served by the new Mississippi River Bridge that opened in 2014, which is located north of the Poplar Street Bridge and is a good alternative for freight traffic. To see the entire Freightway project list and to learn more about the St. Louis Regional Freightway, visit thefreightway.com. The St. Louis Regional Freightway is a Bi-State Development enterprise formed to create a regional freight district and comprehensive authority for freight operations and opportunities within eight counties in Illinois and Missouri which comprise the St. Louis metropolitan area. Public sector and private industry businesses are partnering with the St. Louis Regional Freightway to establish the bi-state region as one of the premier multimodal freight hubs and distribution centers in the United States through marketing, public advocacy, and freight and infrastructure development.